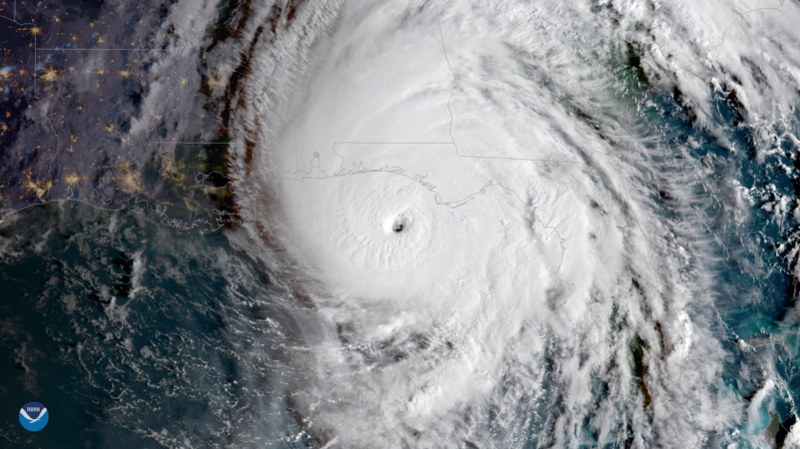 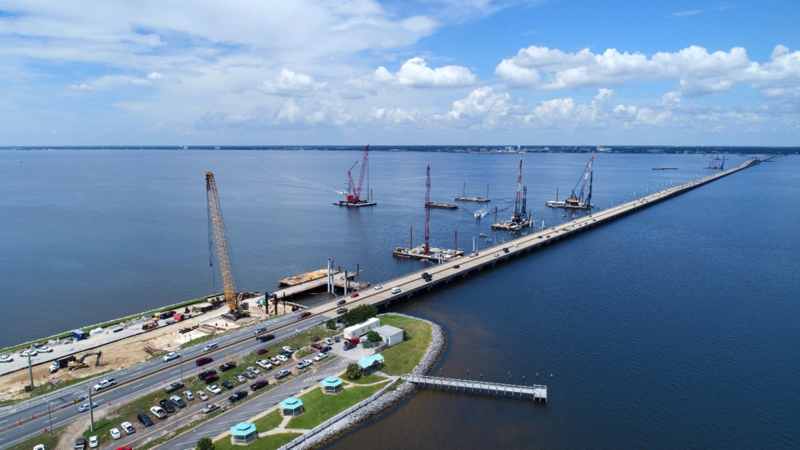 Constructing a new Pensacola Bay Bridge required relocation of land based portions of the Emerald Coast Utilities Authority (ECUA) 24-inch diameter water line that connects Pensacola to Gulf Breeze and supplies water to ECUA customers on Pensacola Beach. 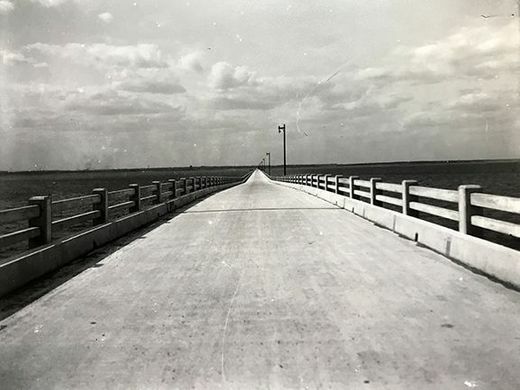 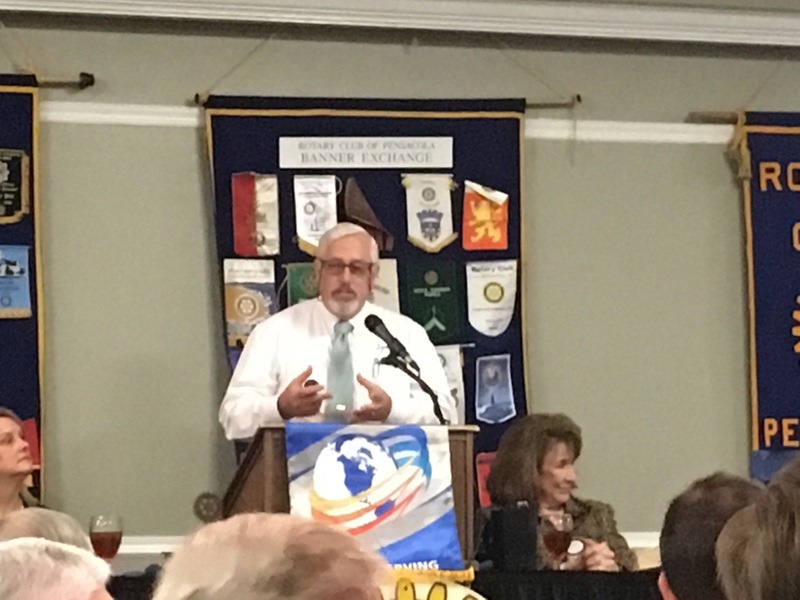 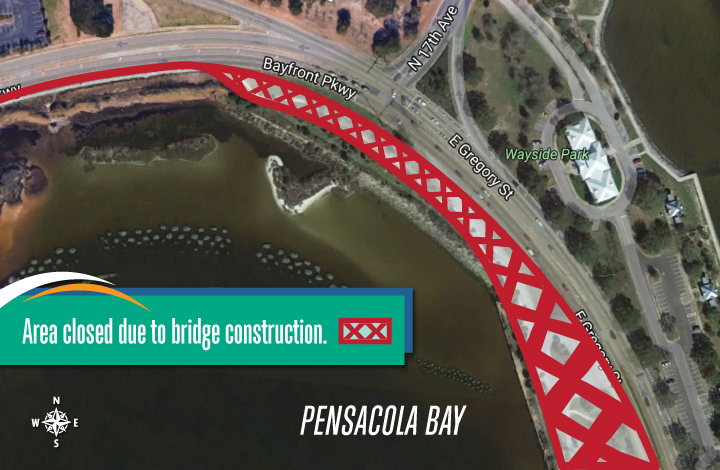 The line has been in service for 24-years, but portions of it conflict with large retaining wall foundations for the bridge that are currently under construction. 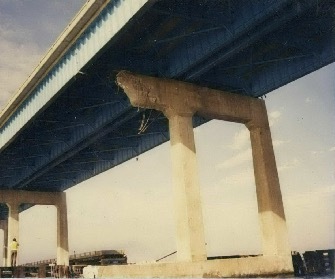 Leaving the water line in place would have made maintenance difficult or impossible once the new bridge is completed. 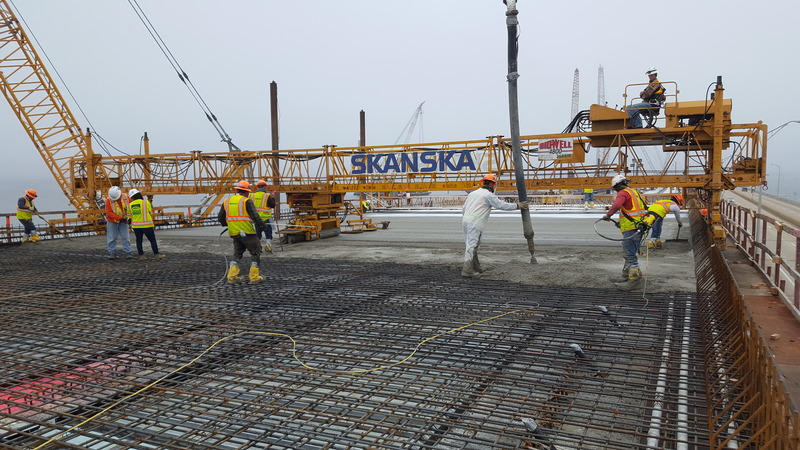 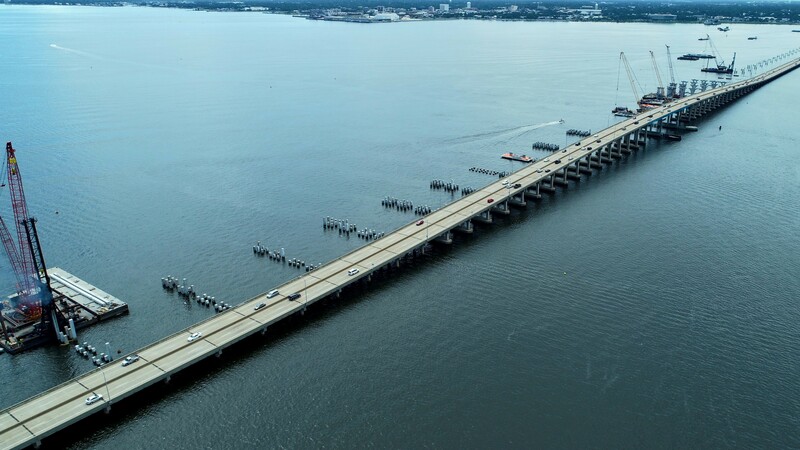 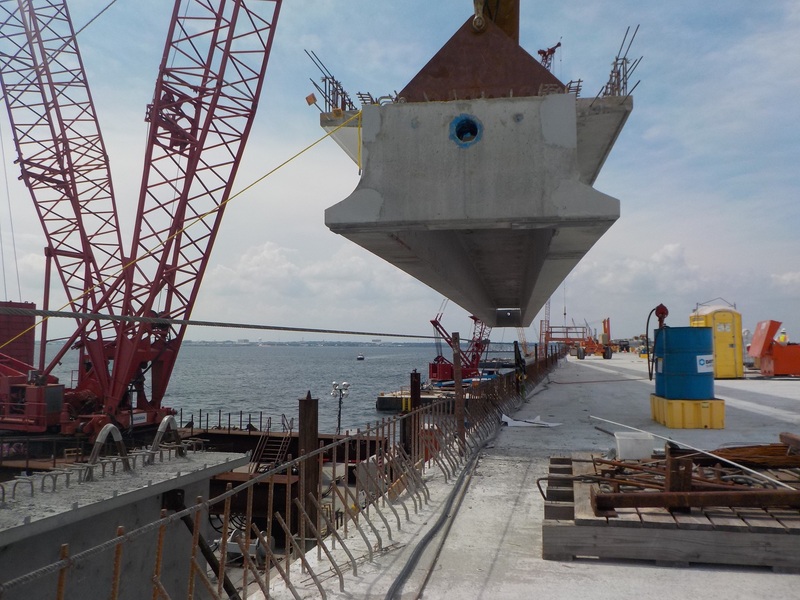 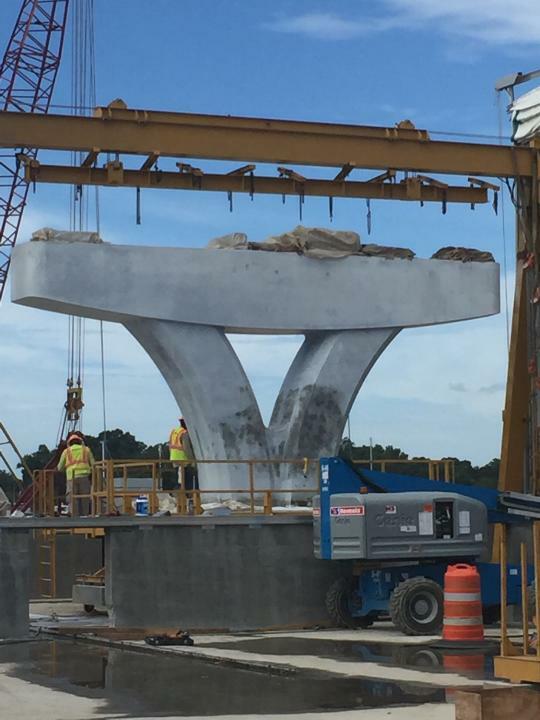 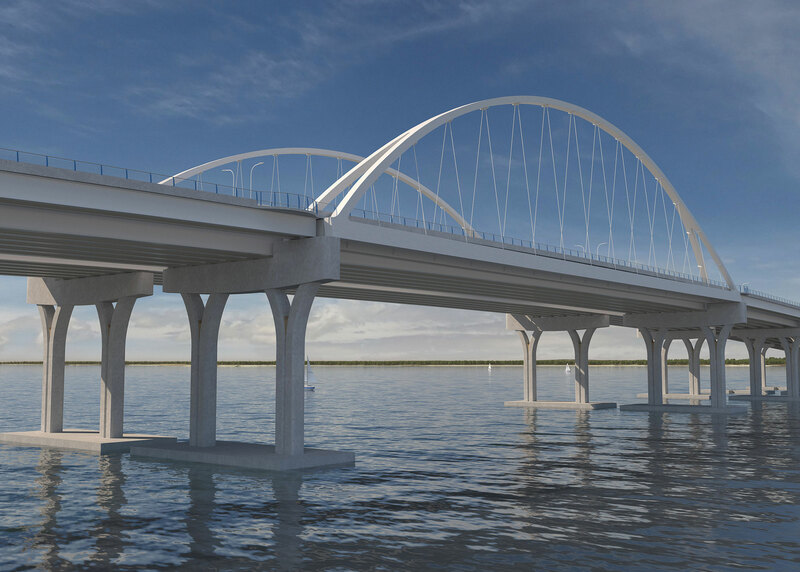 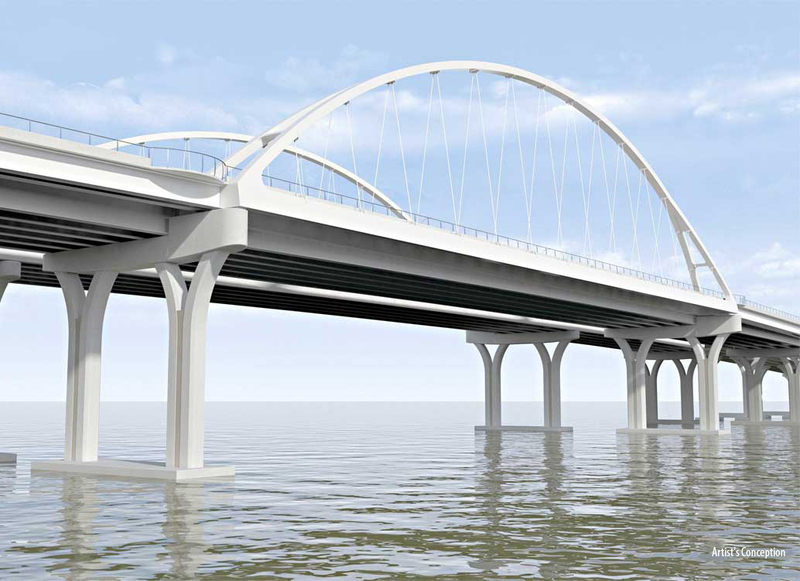 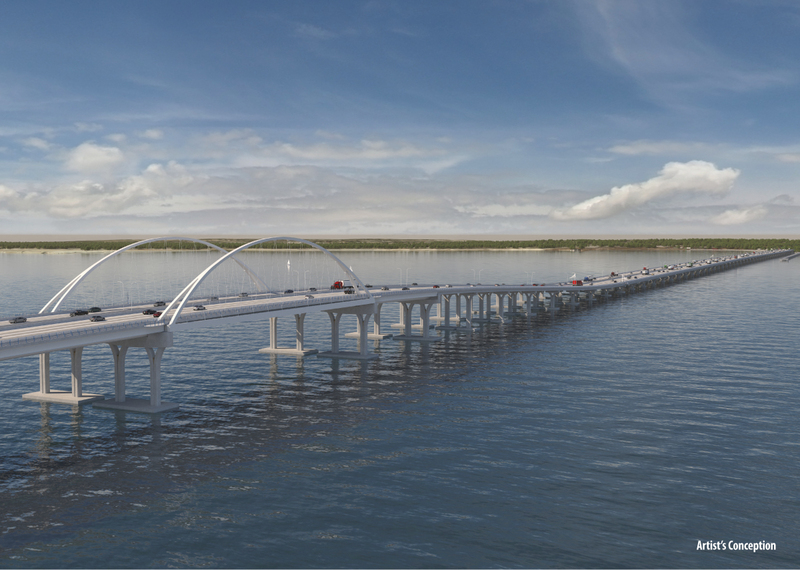 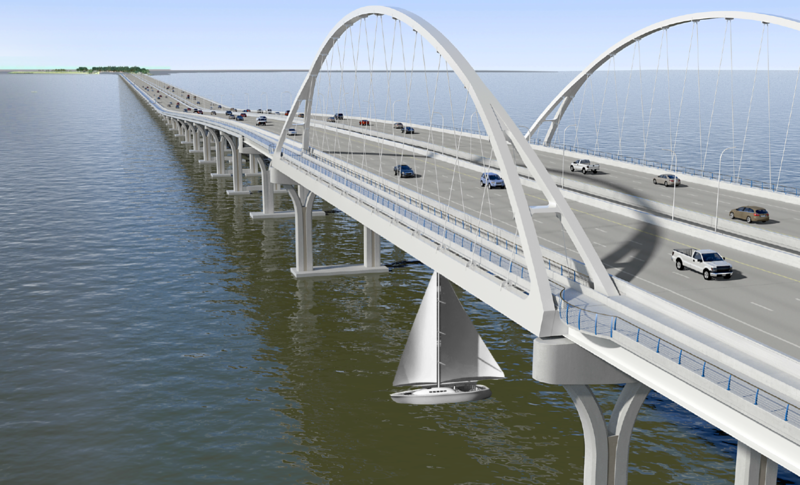 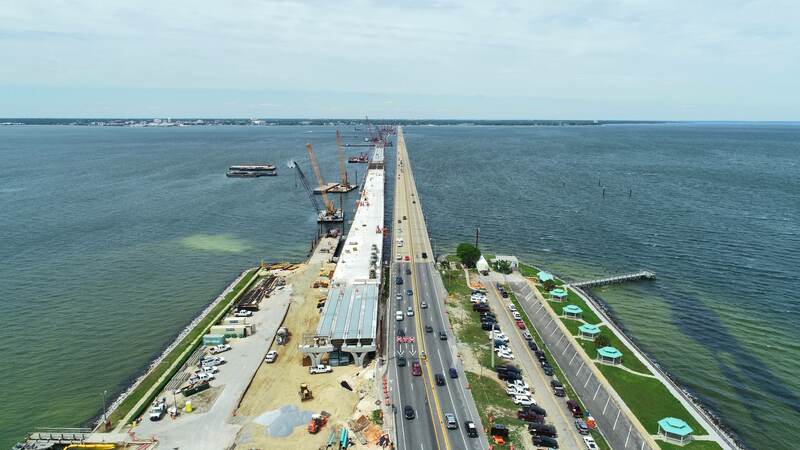 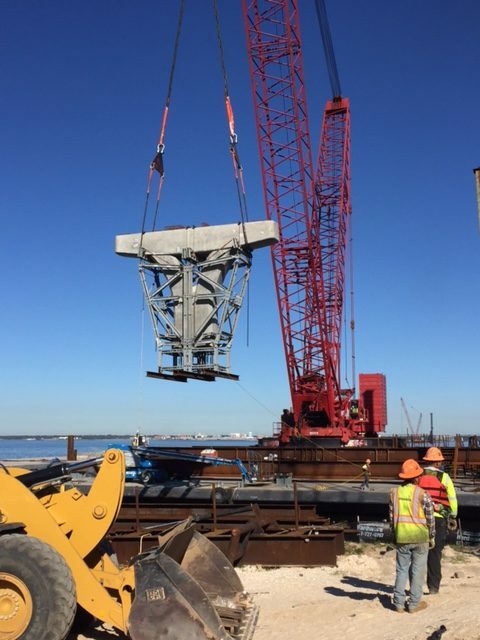 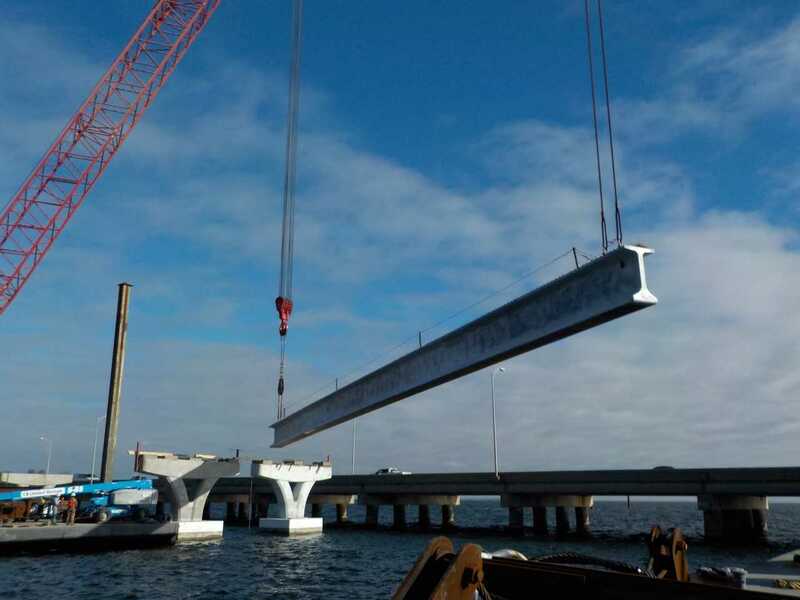 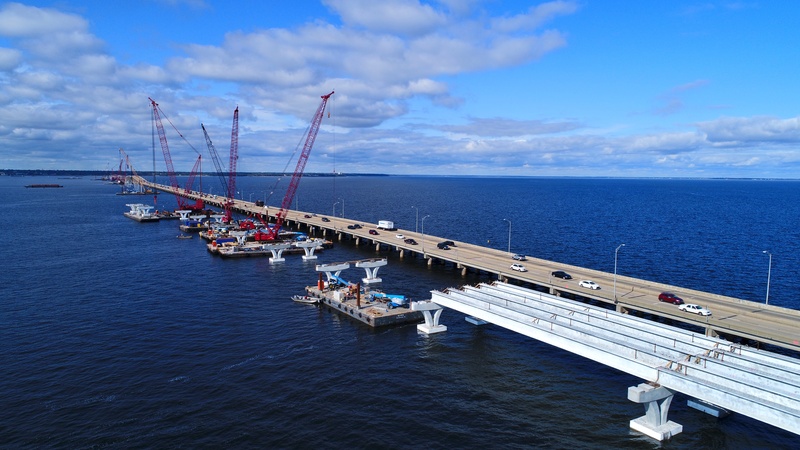 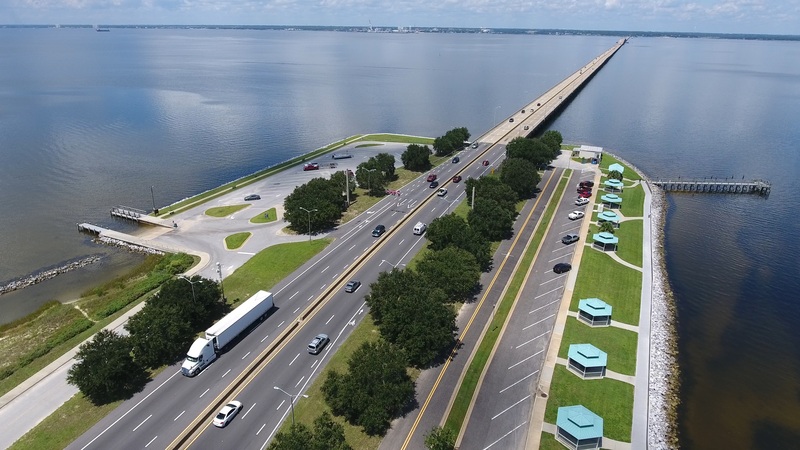 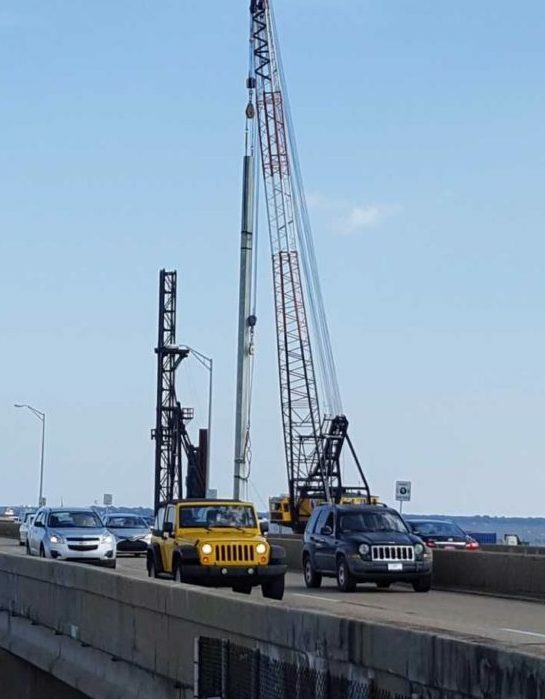 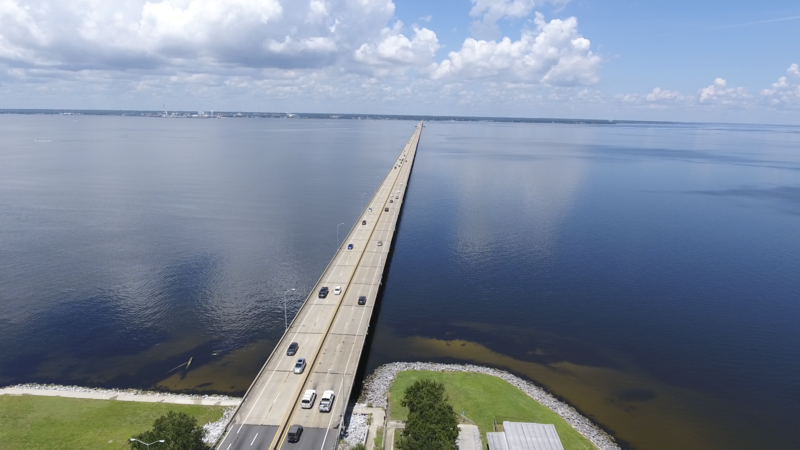 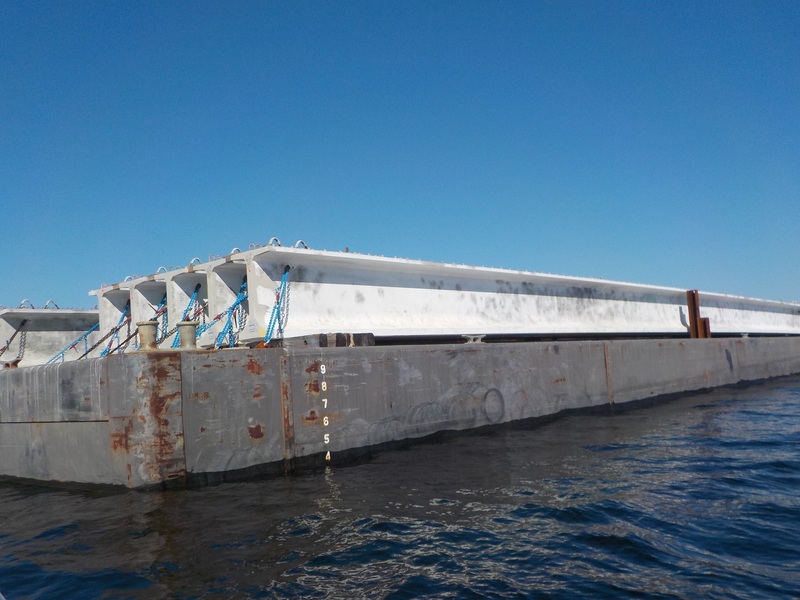 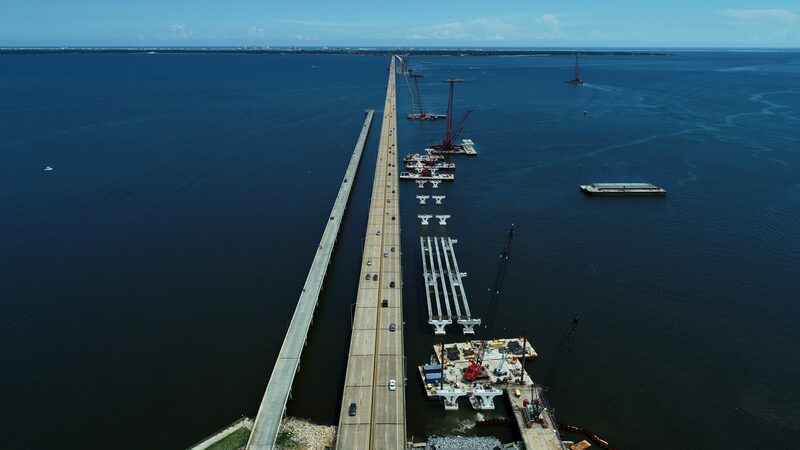 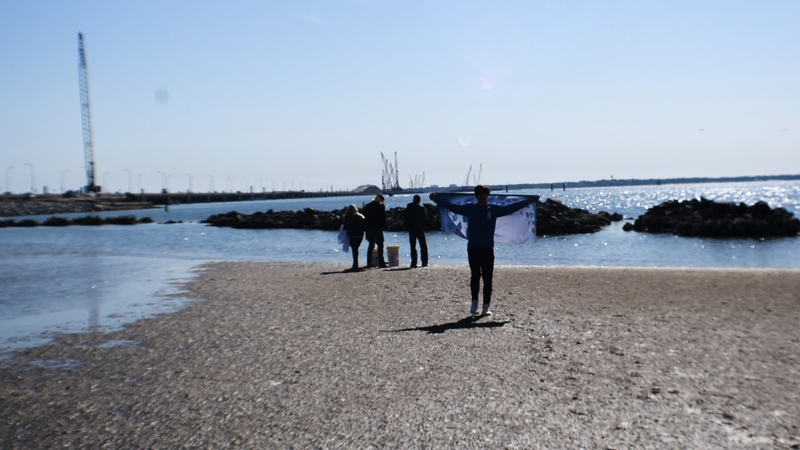 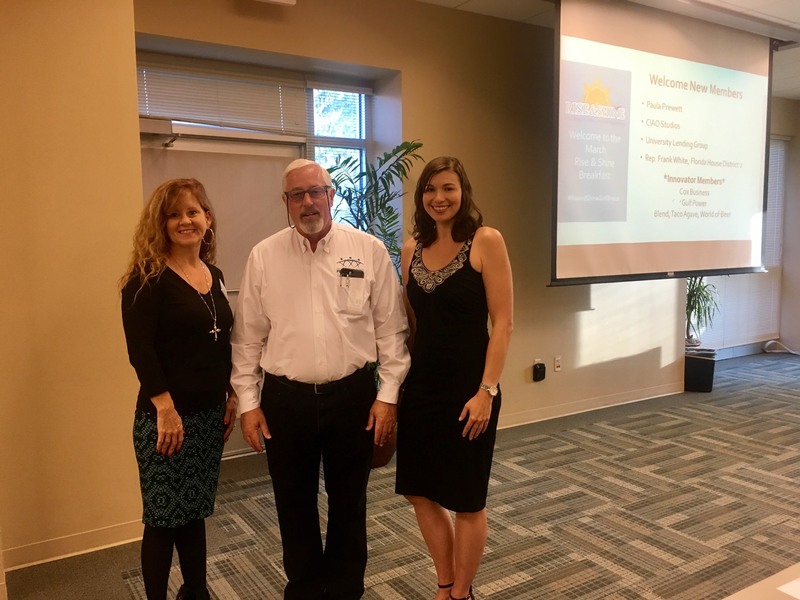 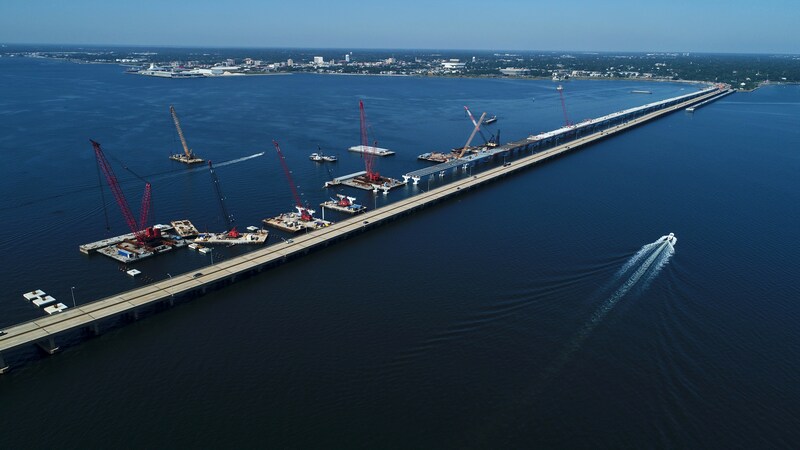 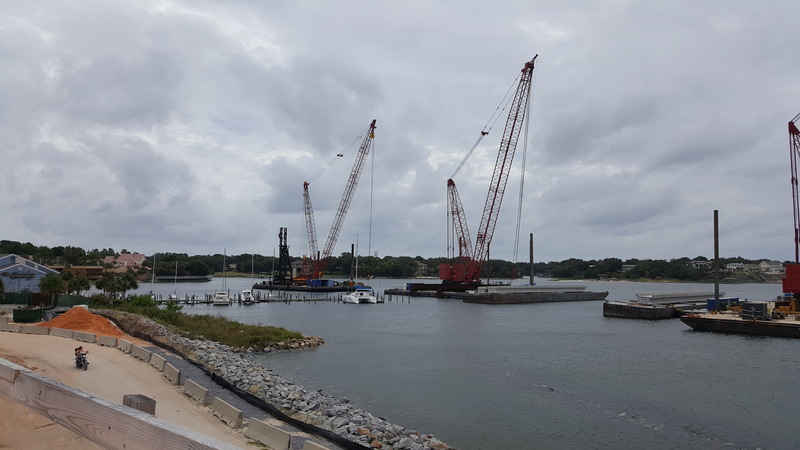 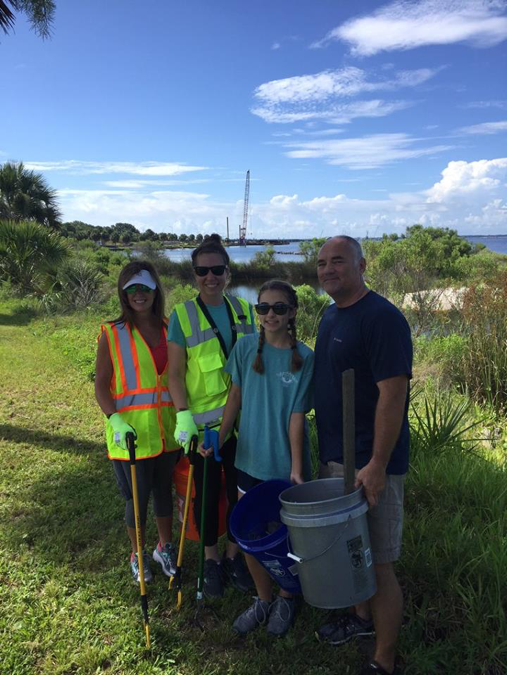 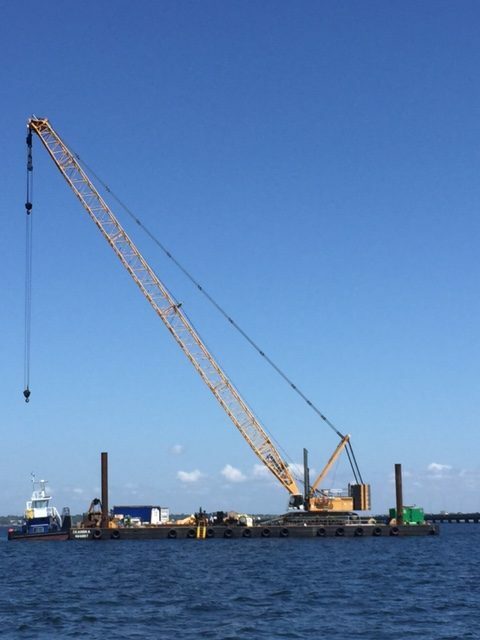 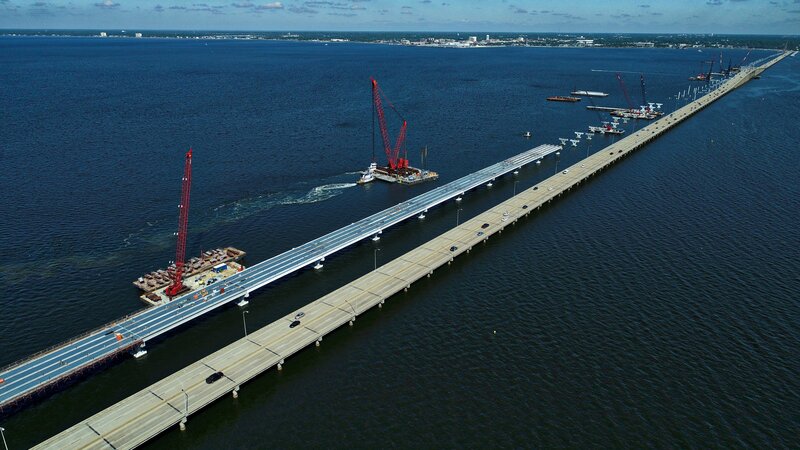 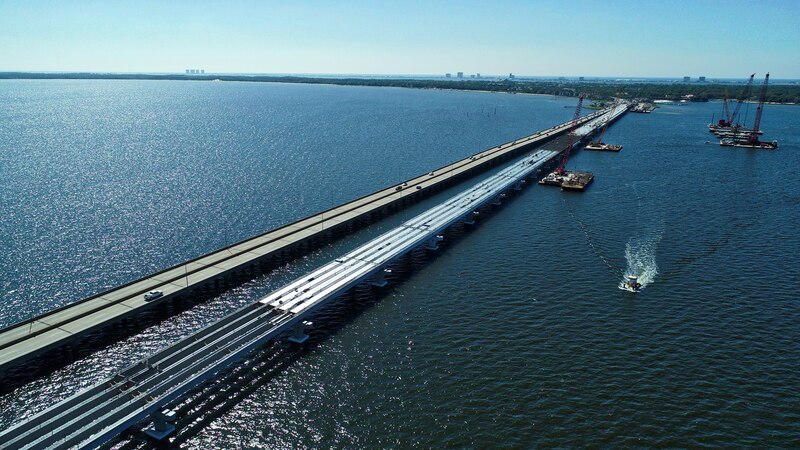 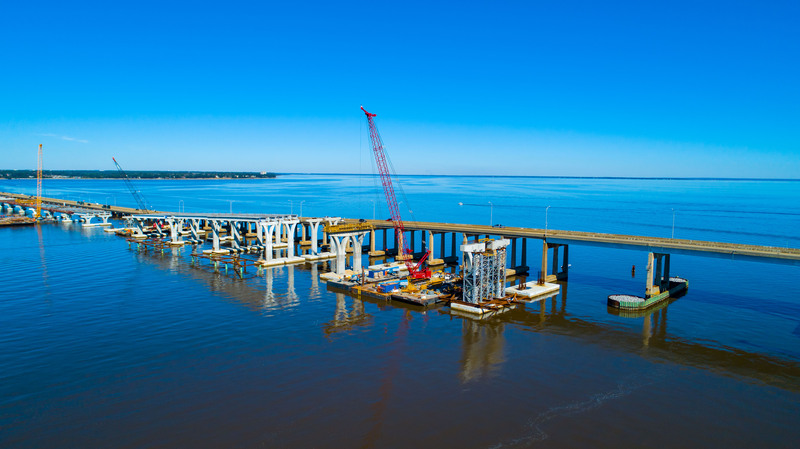 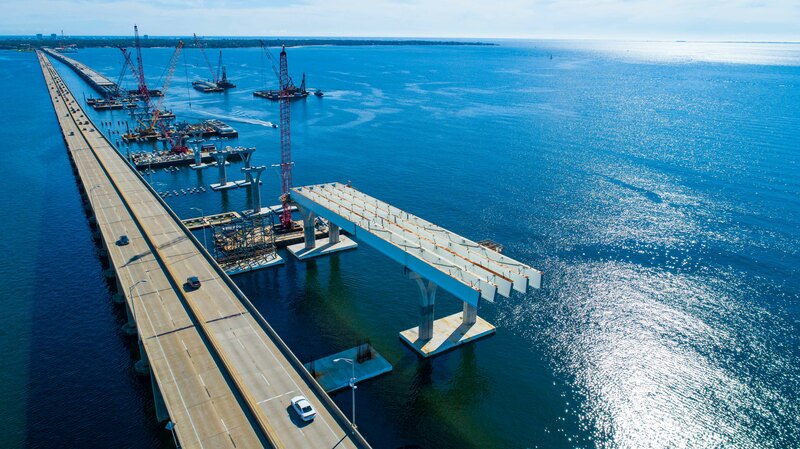 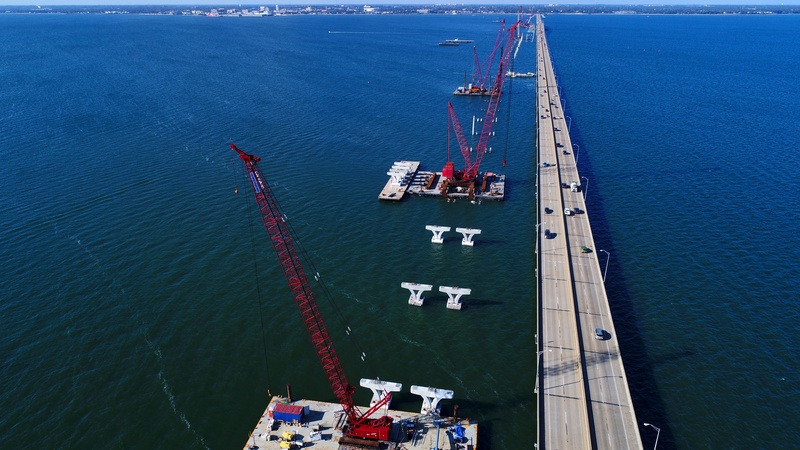 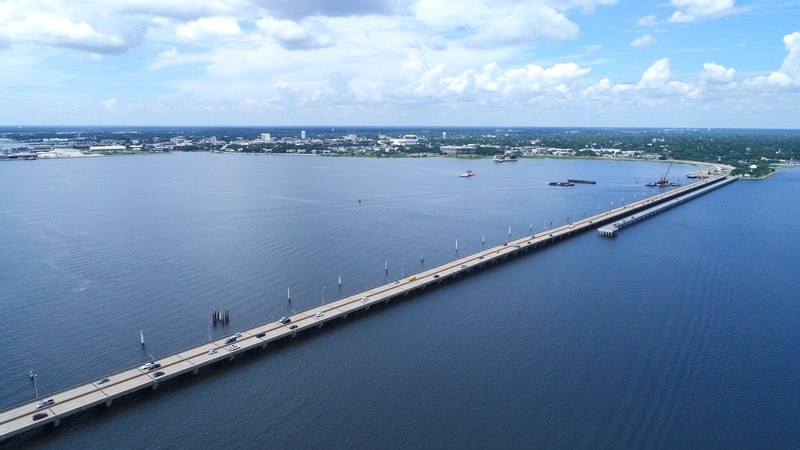 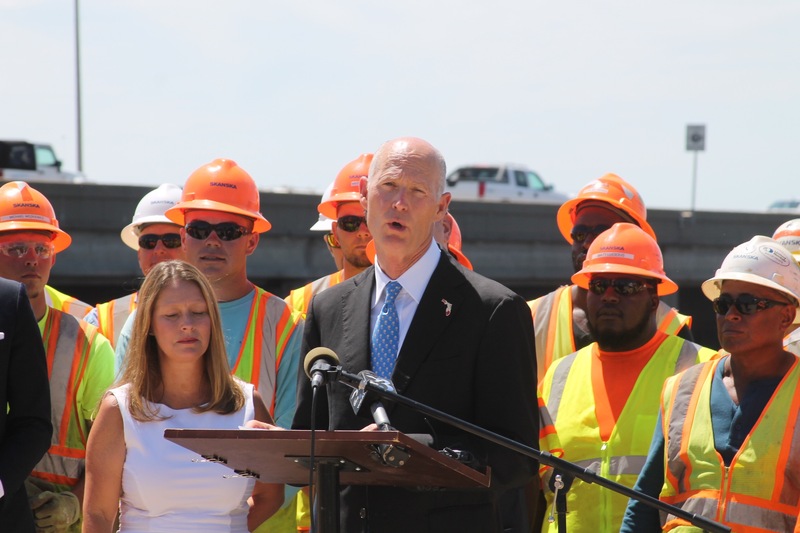 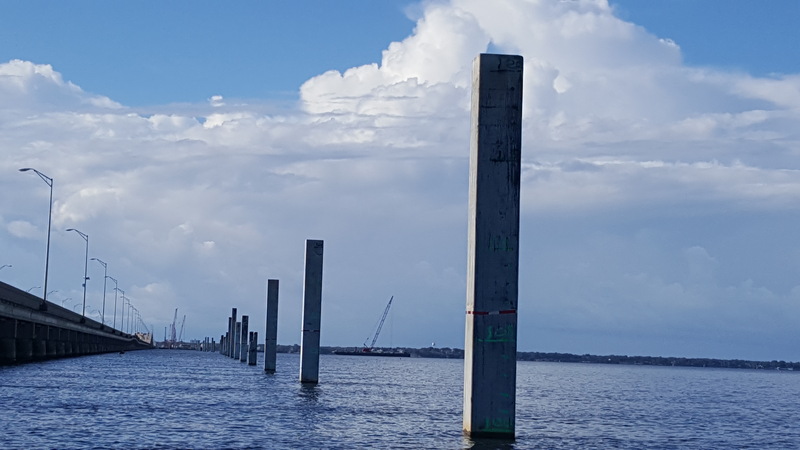 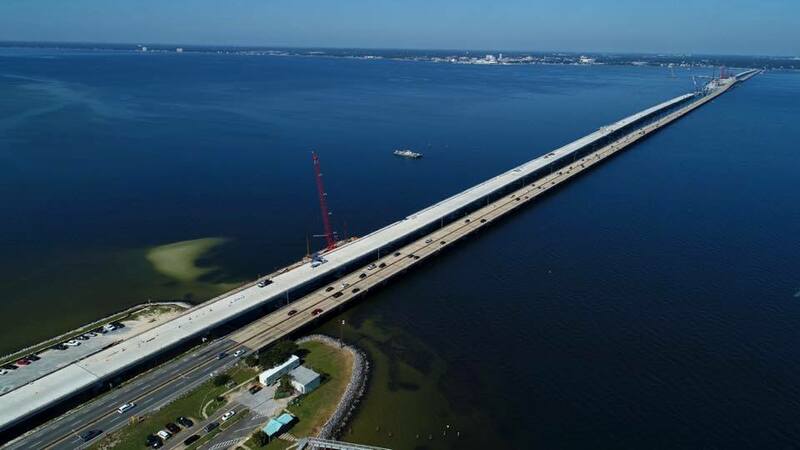 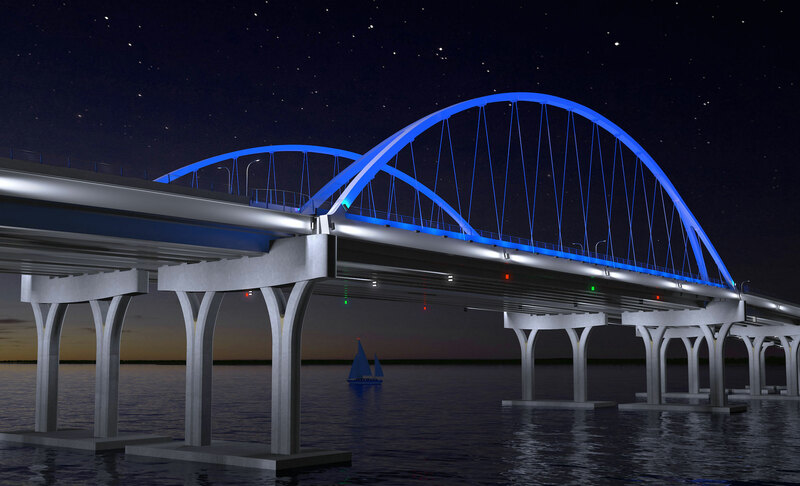 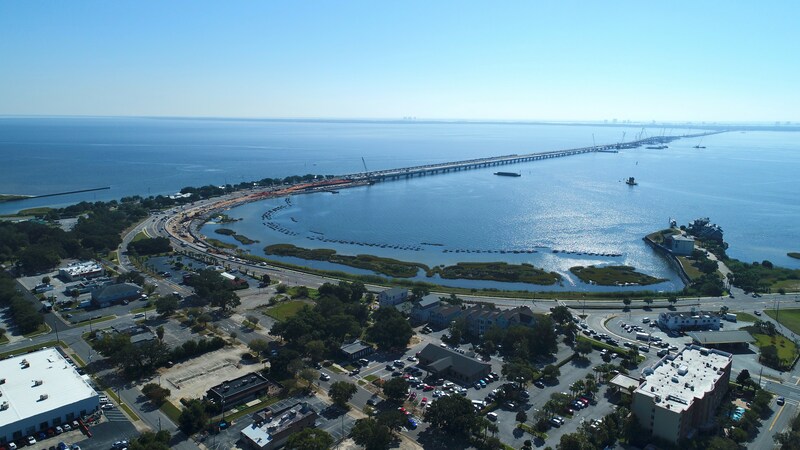 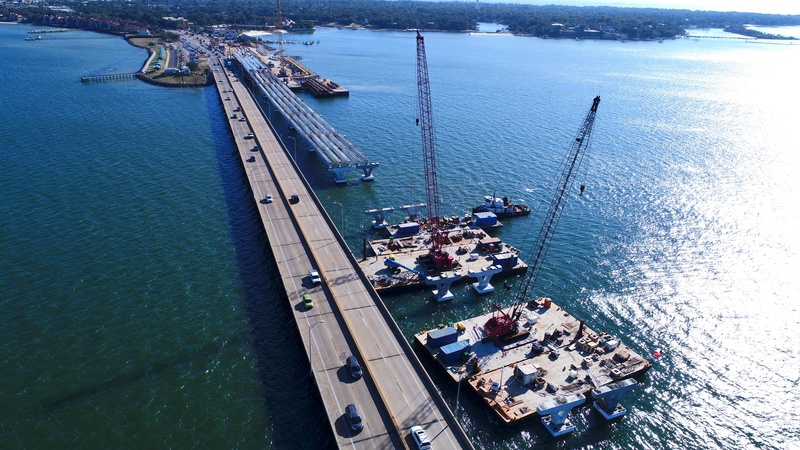 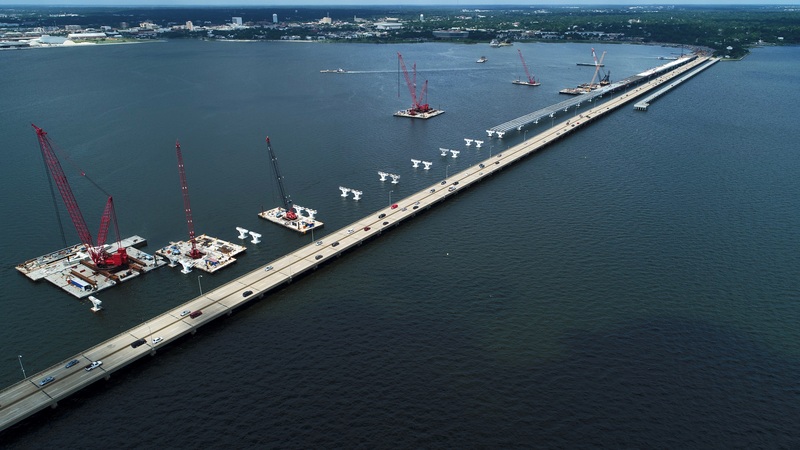 Skanska USA Civil Southeast, the design-build contractor for the Florida Department of Transportation’s (FDOT) Pensacola Bay Bridge replacement project, worked with ECUA to relocate the water line. 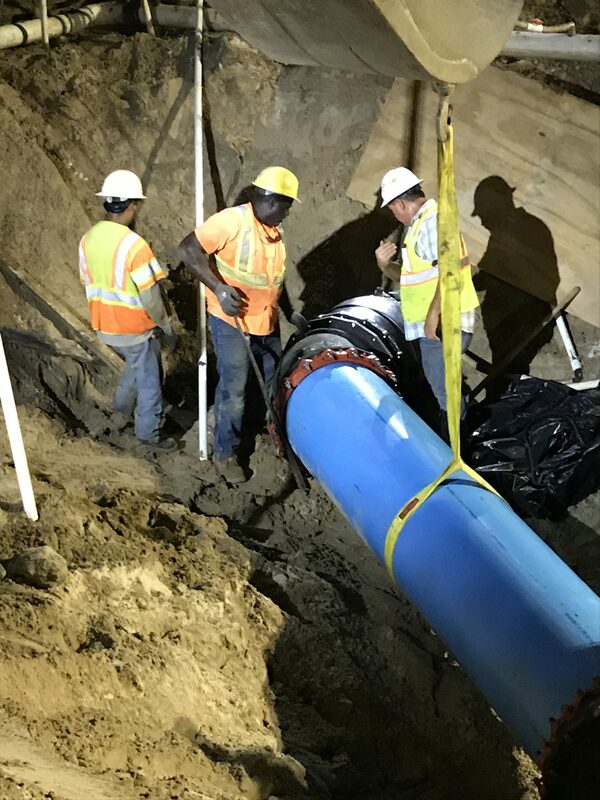 Construction of the new water main was a complex process. 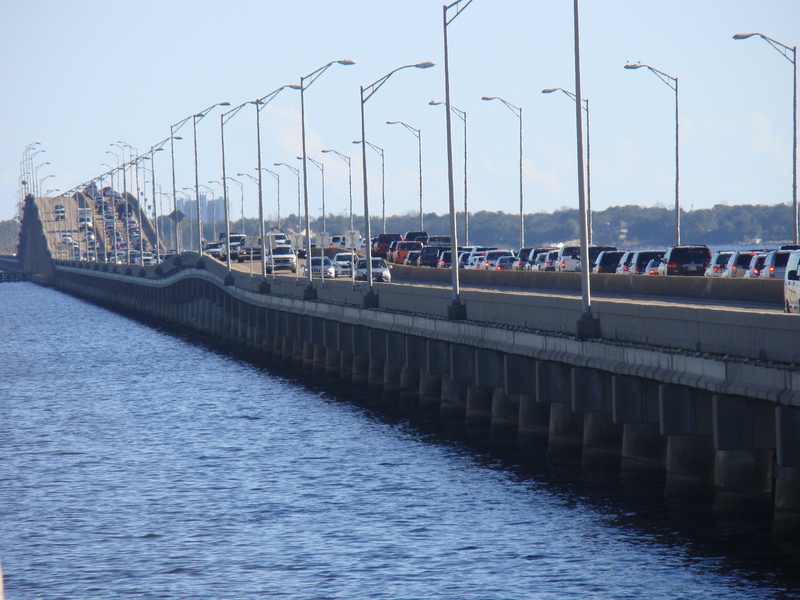 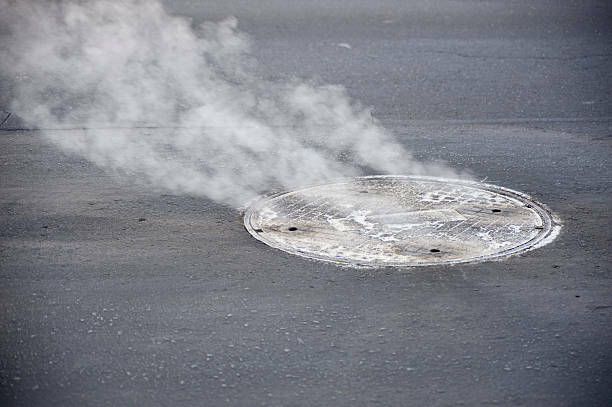 As the sole water supply to Pensacola Beach, the existing line had to remain in service during construction. 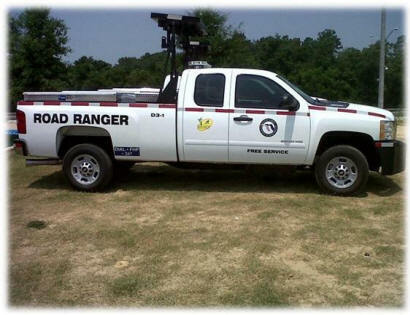 Water service was successfully transferred to the newly relocated line on Thursday, Sept. 13. 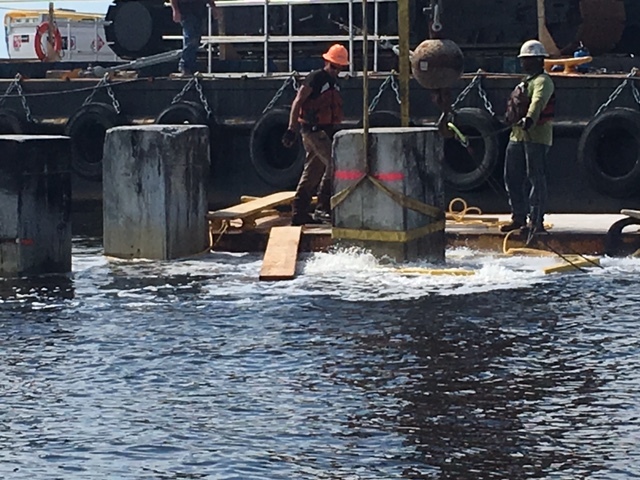 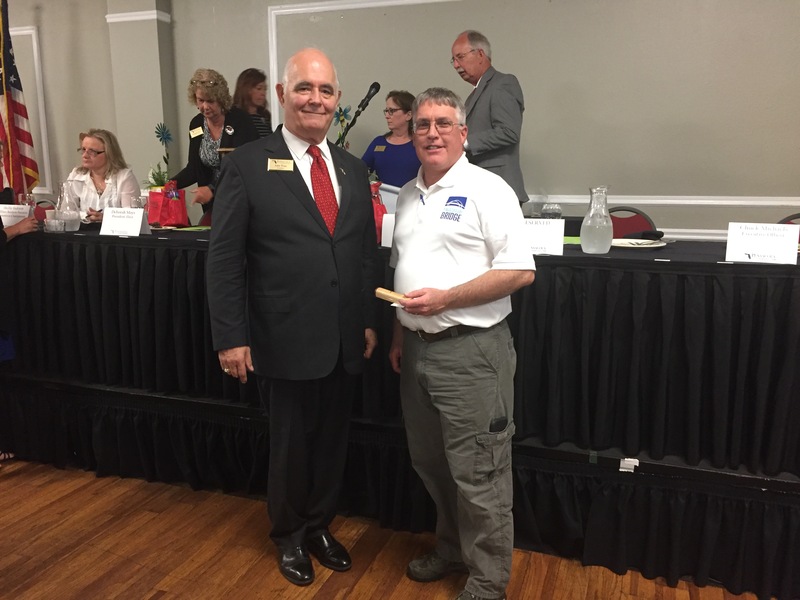 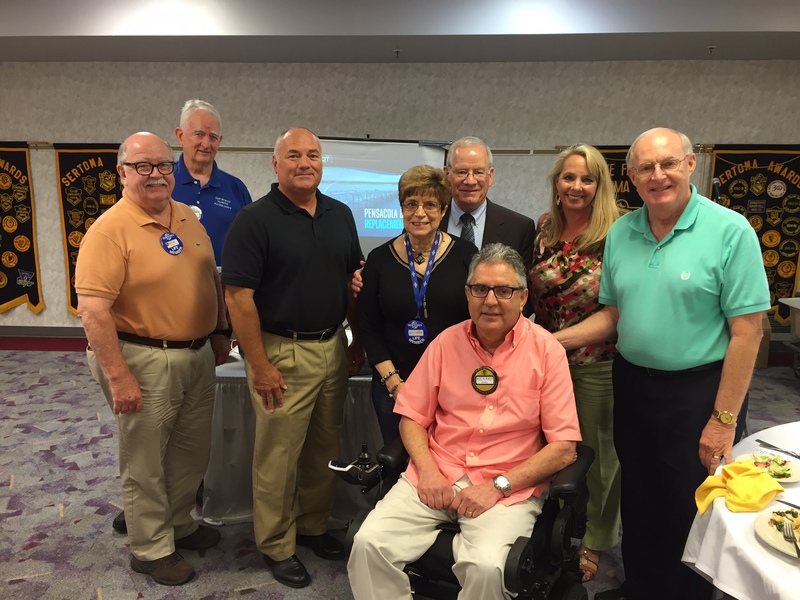 ECUA reported water customers on Pensacola Beach experienced no loss of service during the water line relocation.